Everything to help you ride stronger and better. I am interested, how you structure your endurance training this winter. 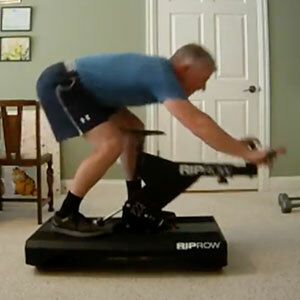 I started the Pump Up the Base off-season training program last week and I did half the intervals on the bike trainer and the other half on the RipRow. After each interval, I switched to the other machine. Later in the program, when the intervals get longer, I will probably also alternate within the intervals. I read that you are not pedaling at all at the moment!? Are you doing all the PUTB protocols on the RipRow right now or do you adapt anything (the number/lengths of the intervals)? The drop-in Jordie does at the beginning of the video … awesome! Assuming a height of 16 meters and a transition radius of 8 meters, that yields 4 Gs in the transition. If Jordie weighs 180 pounds, that’s over 700 pounds. He can be forgiven for collapsing into the rear tire. 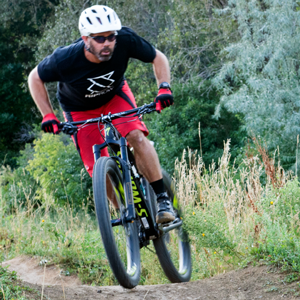 As he transitions from almost vertical to the runout, his handlebars rotate backward dramatically. In LLB language, this is a row. The row has to happen as fast as the angle changes, which is pretty darn fast: according to my stopwatch, somewhere between 1/4 and 1/2 second. If Jordie doesn’t pull fast enough — and he can be forgiven for this! — he ends up on the back of the bike. Or: How to build strength on the RipRow. 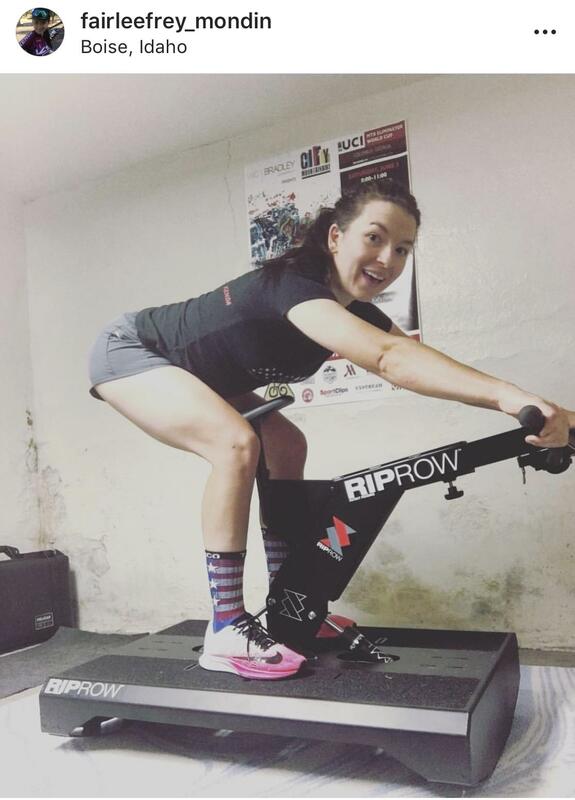 Our friend Fairlee Frey fairleefrey_mondin is prepping for XCE world championships. Her coach Mike Durner coachdurner has devised a 12-week build — and they’re incorporating RipRow into the mix. What are you trying to express? On NPR yesterday a veteran musician said he long ago transcended the mechanics of his music, and now he focuses on expressing himself. He can play the same song at a wedding and a funeral, same notes, and share completely different emotions. That got me thinking: What emotion do I want to express when I ride? Can I express an emotion when I ride? https://www.leelikesbikes.com/wp-content/uploads/2018/08/leelikesbikeslogoheader.jpg 0 0 leelikesbikes https://www.leelikesbikes.com/wp-content/uploads/2018/08/leelikesbikeslogoheader.jpg leelikesbikes2018-08-18 11:21:512018-08-18 11:45:40What are you trying to express? How hard should I pedal during Red Intervals? Should we be doing all out sprints? In the book it states 120-140% or something along those lines, but I’m putting out north of 700 W @ an FTP of 278 W, which is over 200%. Like you’ve said, this says a lot about my endurance, plus I’m a pretty big guy (190ish lbs, a hair shy over 6’), but I wasn’t sure if I am going to hard. To me I’ve never gone below 90% in a race so I don’t know why I would do it in a training session. In the book, it states when power drops by 10% the session is over. Is this over the course of the entire sprint session or during easy “set”. My first set of 3 x 20 sec I was in the 650-700 W range, second set was 600-650 W, but the third I went from about 600 W to just below 500 W, which is over a 10% drop. This was my sign I was toast, but if I follow the rules of 10% over the workout I wouldn’t have even made it through my second set. 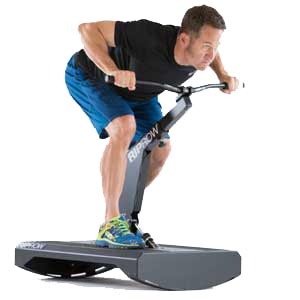 Lastly, is it normal to not to be shifting during the middle of these sprints? I start out with a somewhat challenging gear but I’m spinning too quickly to feel like I’m delivering good power pretty quickly and shift 2ish times during each sprint. Thanks for the great programming, both on skills and fitness. My riding has improved immensely over the last 2 years despite being pretty inconsistent about training. 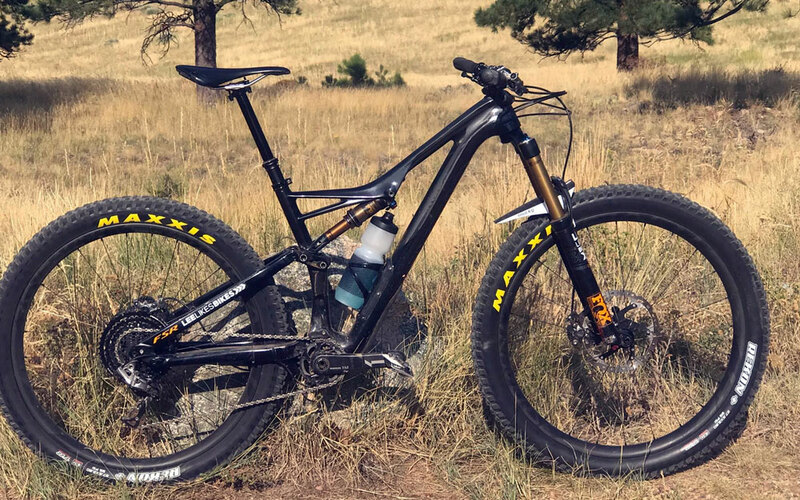 https://www.leelikesbikes.com/wp-content/uploads/2018/08/leelikesbikeslogoheader.jpg 0 0 leelikesbikes https://www.leelikesbikes.com/wp-content/uploads/2018/08/leelikesbikeslogoheader.jpg leelikesbikes2018-08-16 14:27:102018-08-16 14:35:10How hard should I pedal during Red Intervals? 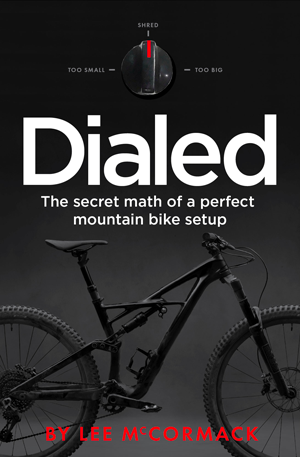 Last week the satellites told me I was riding slower than in past years, and that prompted me to ask if I am Slower than I once was, faster than I’ll be? That doesn’t appear to be true. 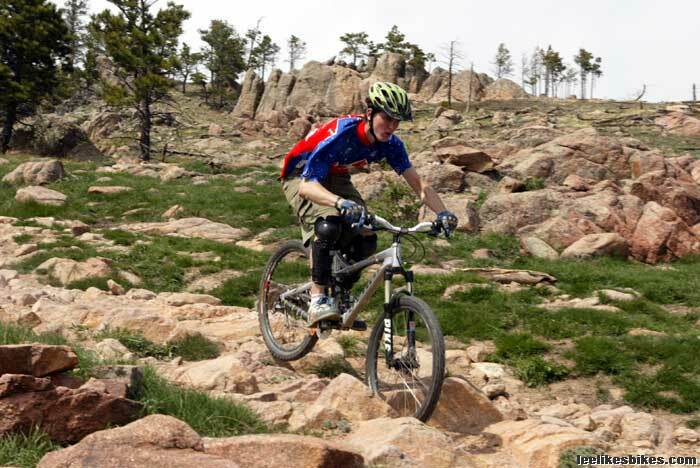 Our friend Lem Stevens has made huge progress in his quest to bunny hop higher on his mountain bike. I asked him to send a video showing his off-bike training (which includes RipRow, Olympic lifting and more), and he kindly obliged. 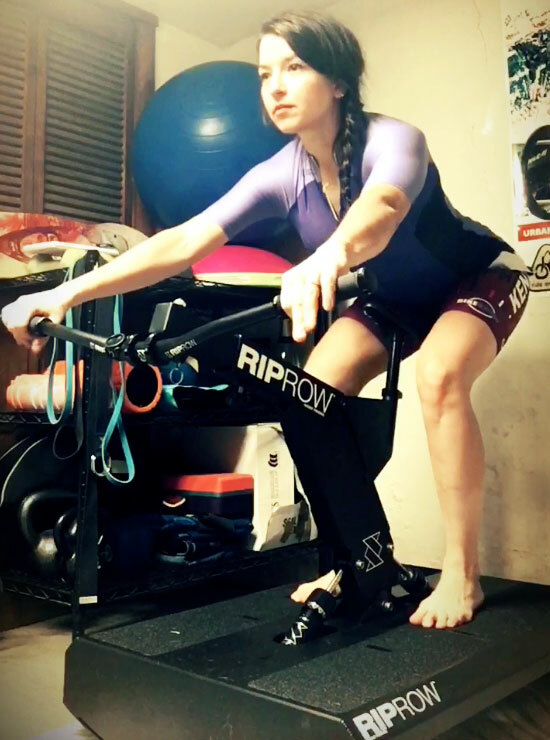 Our friend and pro mountain bike racer Fairlee Frey (KS-Kenda Women’s MTB Team) is prepping for XCE world championships, and her coach Mike Durner (@mikedurner) is working RipRow into her training. 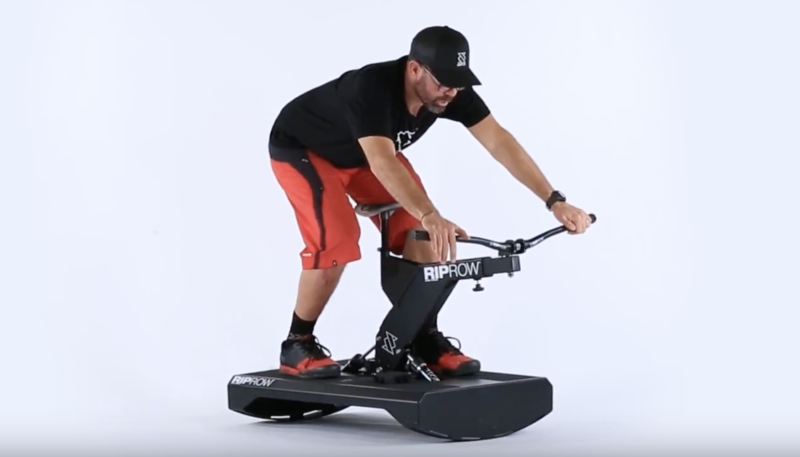 Here’s how an elite coach uses RipRow to prepare an elite racer for a huge event. Slower than I once was, faster than I’ll be? 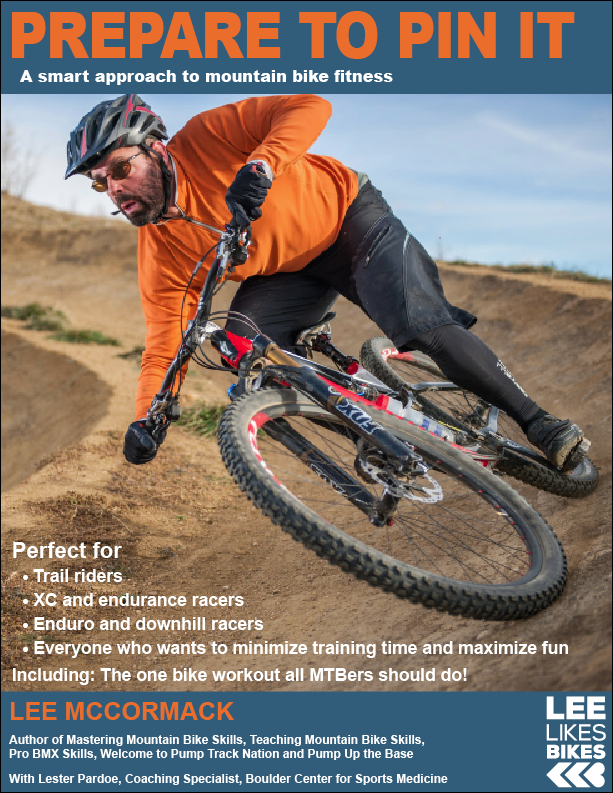 https://www.leelikesbikes.com/wp-content/uploads/2018/08/leelikesbikeslogoheader.jpg 0 0 leelikesbikes https://www.leelikesbikes.com/wp-content/uploads/2018/08/leelikesbikeslogoheader.jpg leelikesbikes2018-08-08 11:01:432018-08-08 11:18:27Slower than I once was, faster than I’ll be? In this video, pro enduro racer and cool dude Yoann Barelli dispenses some great advice about riding, racing and living. Exit speed is more important than entrance speed. Do all of your prep work, then stop worrying.